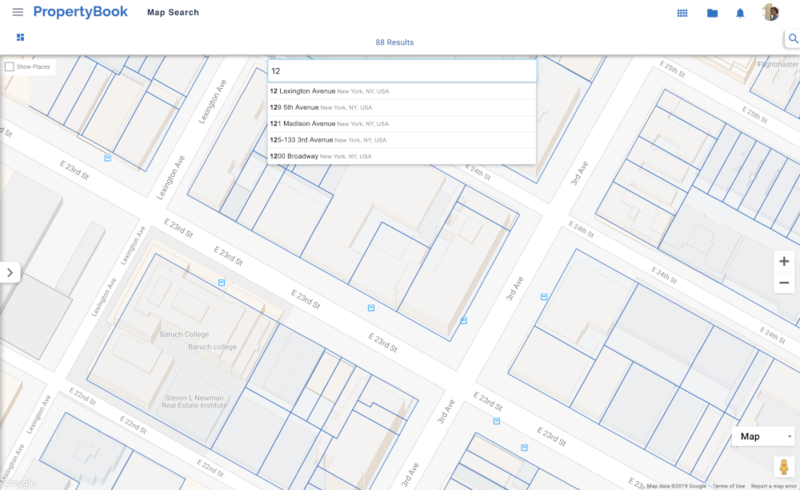 Search by property address place, business or person. 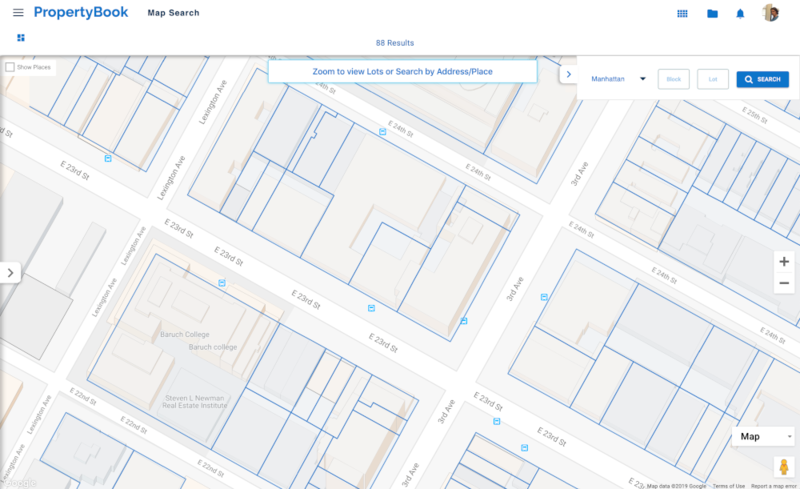 Zoom and pan the map to view tax lot polygons. Click any lot to instantly view comprehensive property information. 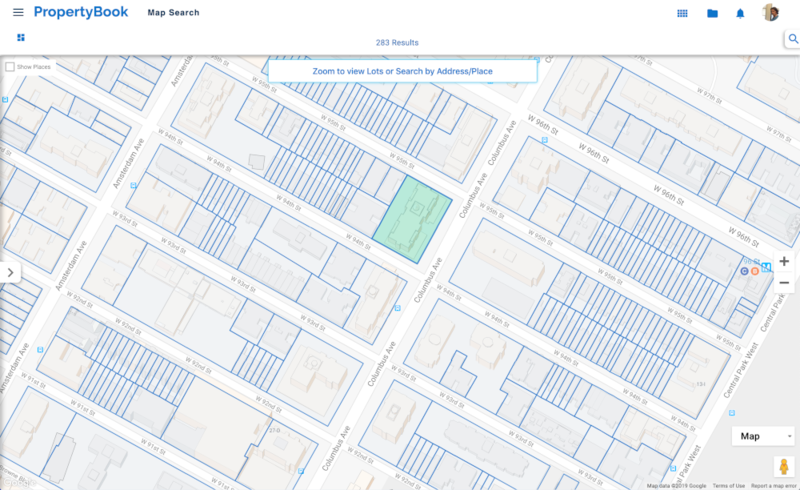 Search for properties by Borough, Block and Lot from within the Map Search. Pin properties in the Map Search to create a custom list unrestrict by search criteria. 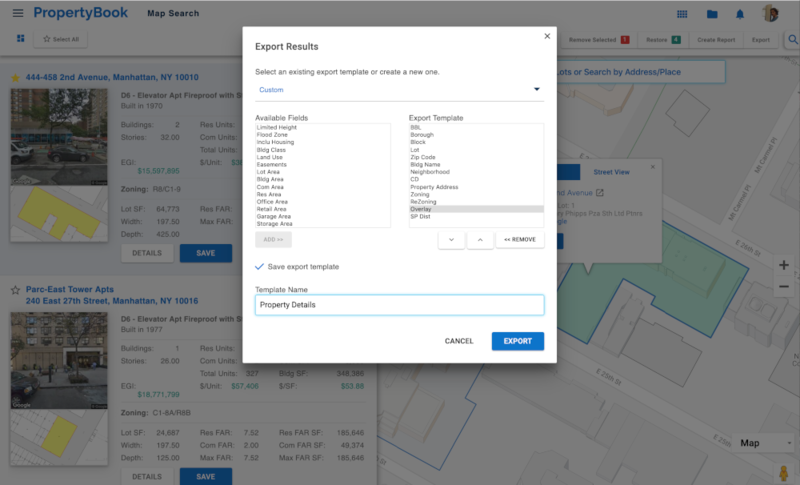 After you pin a custom list of properies, export property data and create a comprehensive PDF report. 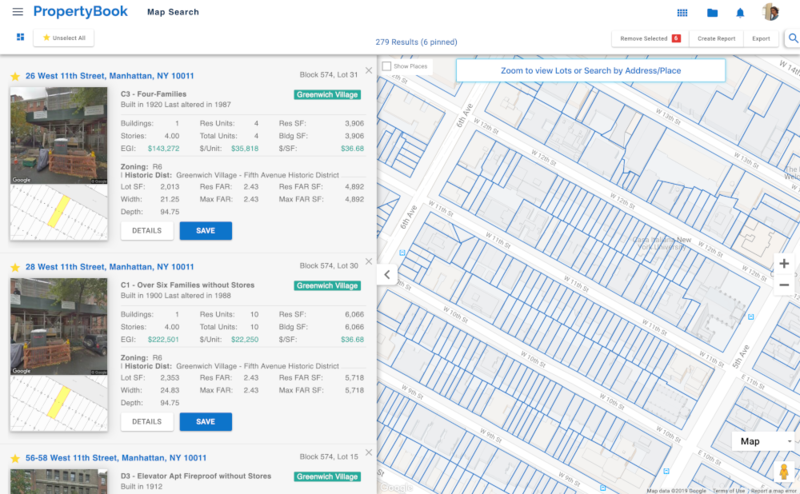 At PropertyBook, accurate data is our primary focus, because data is the most valuable resource in the real estate industry.